Dual layer protection for both sides of your phone. Protect both sides of your new iPhone 8 Plus from bumps and scratches. The Cygnett Halo360° TPU Shock Absorbing Front & Back Screen Protector offers high level screen protection against damage due everyday wear and tear or from daily use items such as keys and coins. On top of the added protection from scratches and damage the Halo also provides protection on both the front and back of your device with its wrap around design. 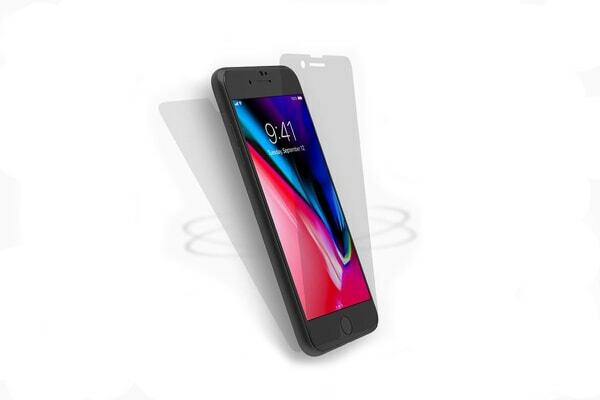 The Cygnett Halo Screen Protector is made from dual material construction with a technically advanced TPU layer providing superior impact absorption and a PET layer creating a smooth mirror like finish with a flawless glass-like finish providing better scratch resistance. Offering optimal clarity and smoothness for your phone and with its precise laser cut process, a perfect fit is ensured for your new device along with a bubble free easy application. True touch sensitivity results in you never having to worry about the screen protector interfering with buttons or functions you activate.